We are an operational consultancy that scales businesses organically and by acquisition. Every client team consists of one or more partners with successful C-Suite track records. Our biggest added value? We align effort with strategy. Scaling is not the same as sales growth. There’s more to it than that. Their business is not scaling. Their management team bandwidth is stretched. A deal has failed to deliver the required price. A repositioning of the business is essential for survival. The need for a methodology that finds and successfully integrates targets. Deals are being lost to competitors. Management bandwidth is stretched and can’t handle Corporate Development duties. 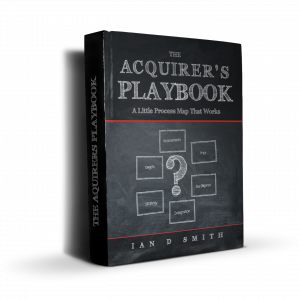 Sellers don’t view the acquirer as an attractive option. Why Are We So Bad At Acquisitions? How Do You Decide Which Businesses (or Products) Are Core?